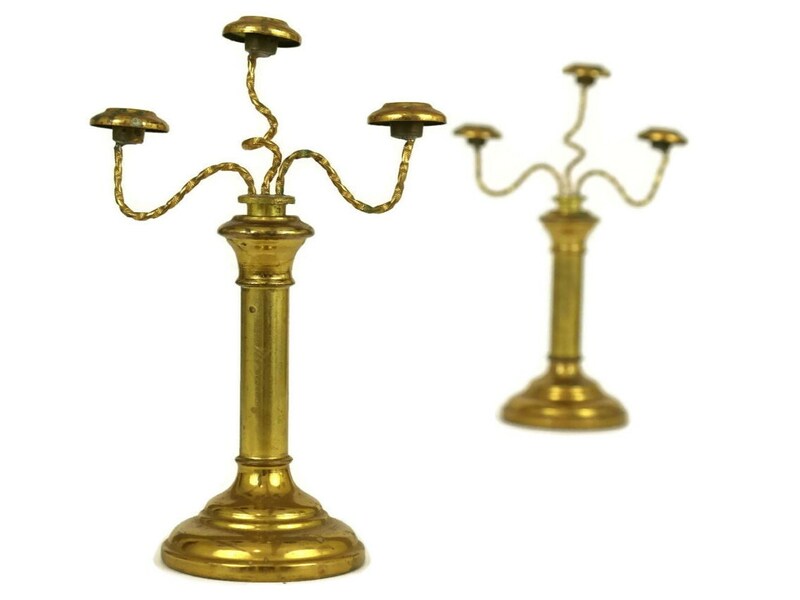 A charming pair of antique French miniature church candelabra dating to the late 19th century. 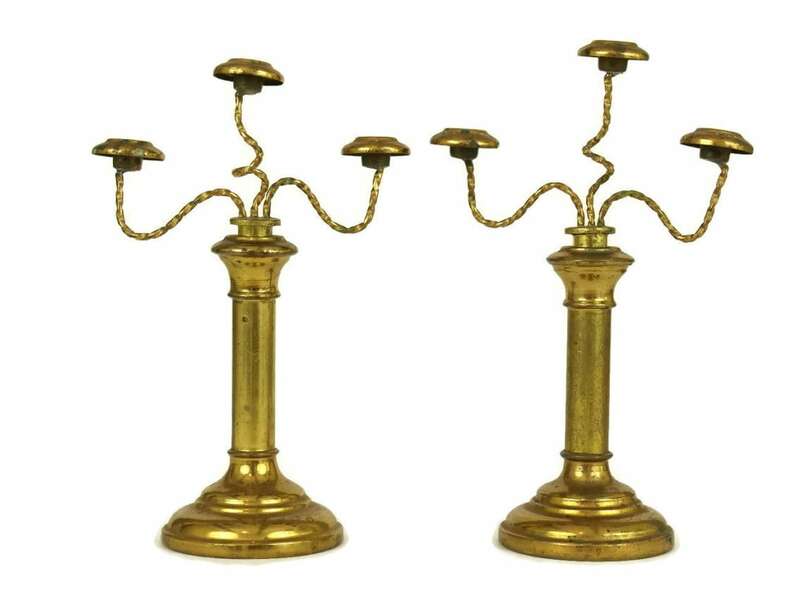 They have been created from light-weight brass with a gilt finish and have removable candle holders. 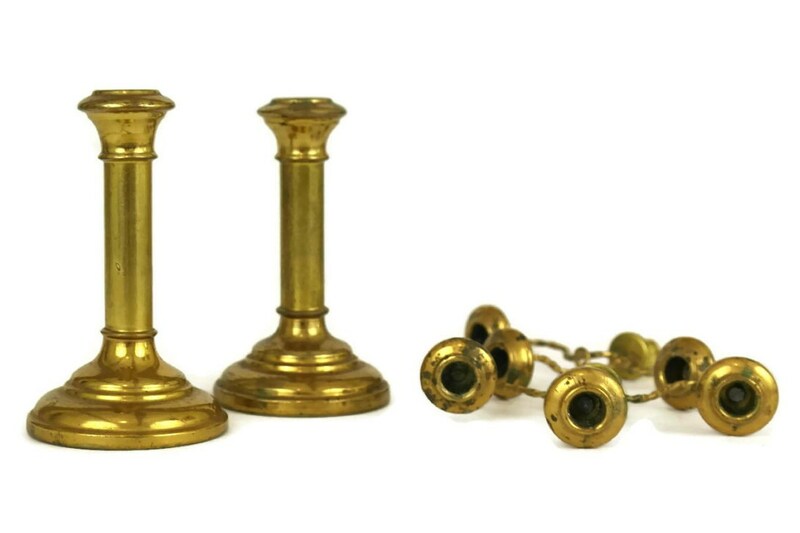 The pair of candlestick holders were originally used to decorate a small altar in a French family's home and they each have place to hold 3 small candles. 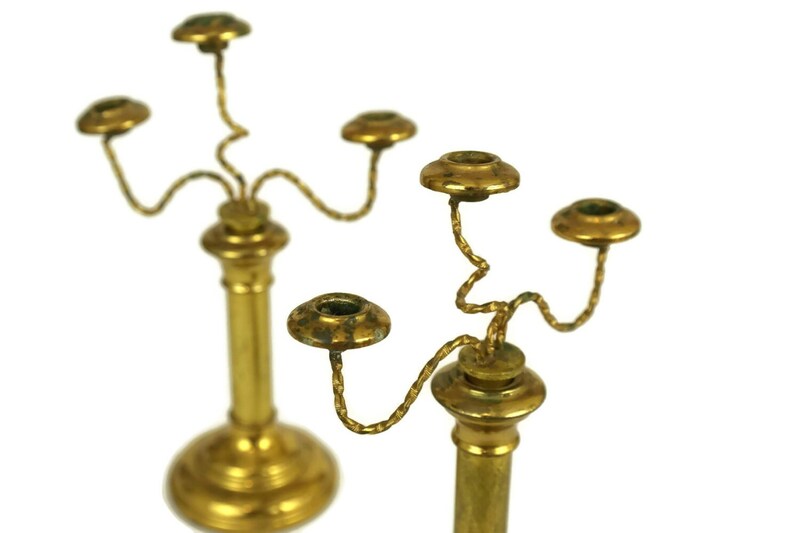 They have been modeled on classic altar candelabra and are filled with elegance and charm. They will make a great accessory to any doll house Decor. 6" high x 4" wide (15 cm x 10 cm). The candle cups can hold a candle with a diameter of 10 mm. 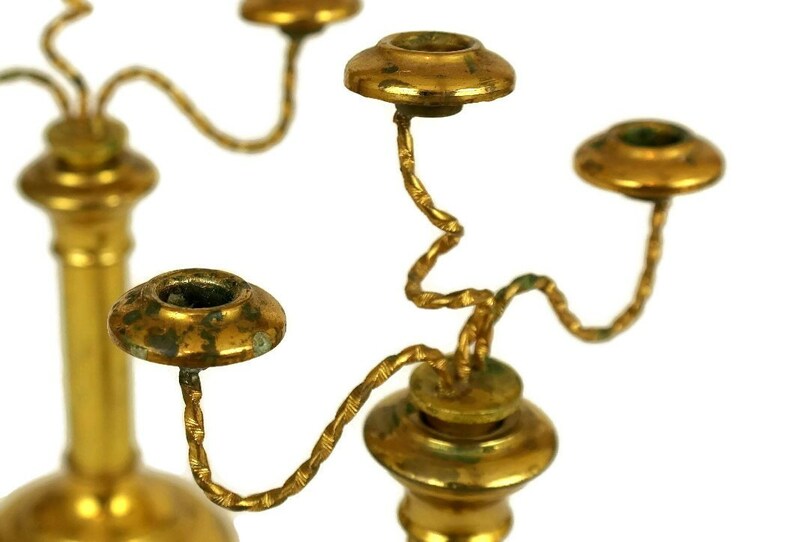 The pair of antique French candelabra are in good condition with age-appropriate wear including an aged patina and oxidation marks to the surface.